Step 1. Connect to the two data sources that you would like to join. Step 2. Add a Join Block to the Main Canvas by dragging and dropping it from the Block Library, or by right clicking on the Main Canvas and selecting Add Data Block and Join. Step 3. 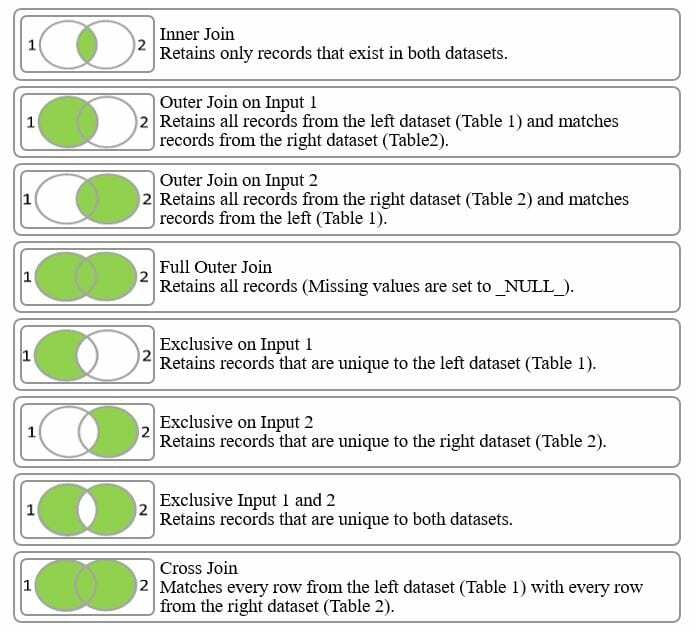 Connect the block to both data sets. Step 4. Select columns to join from Table 1 and Table 2, and click Add Join. Step 6. Select output columns to include data from Input 1 and Input 2.